Peugeot DKR 2008 Concept finally appeared officially with its massive physical characteristics at the Beijing Auto Show 2014. This is the Peugeot car which will compete in the 2015 Dakar Rally. 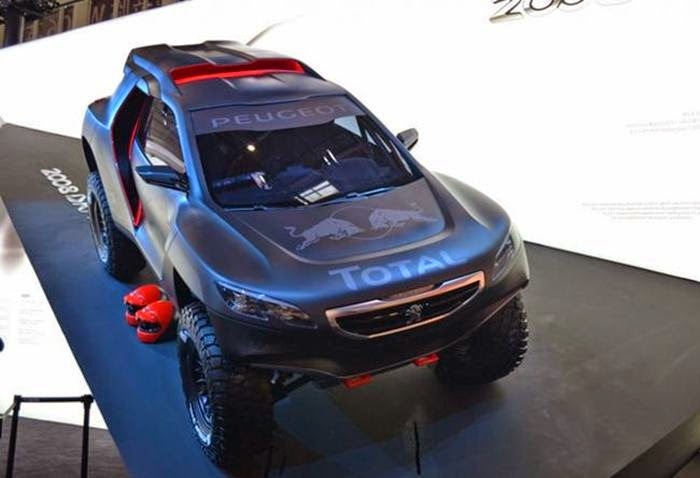 This is what the original appearance of the Peugeot DKR 2008 Concept model as reported by Carnewschina on Friday, April 25, 2014 which will be the cars for Carlos Sainz and Cyril Despress in the 2015 Dakar Rally. Technology and physical characteristics that exist in this car concept has the connection with the Peugeot 2008 SUV, it looks at the design of the headlamp and chrome trapezoidal grille- has a similiarity and not much different between the two cars. Seeing its form now, driving the car with the RWD (Rear-Wheel-Drive) engine that looks quite agile and straightforward in passing various fields. 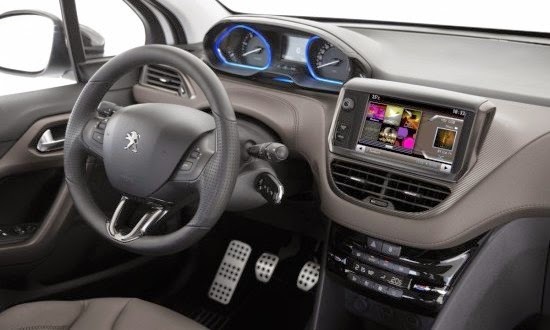 If the platform is indeed taking the Peugeot 2008 SUV, may DKR 2008 Concept is also equipped with 2 wheel drive system. But if it is true Peugeot DKR 2008 Concept will be used in the 2015 Dakar Rally, Peugeot could also install a 4 wheel drive system on the newest SUV. The design of Peugeot DKR 2008 Concept itself looks more powerful with aggressive strokes lines. 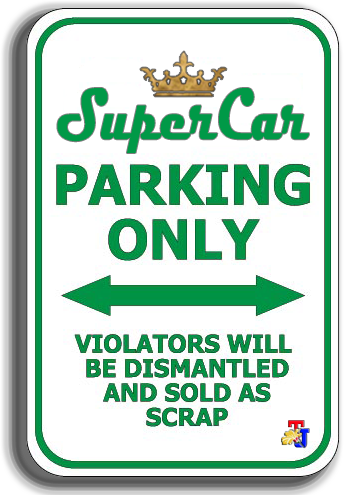 In addition to the body that looks sturdy, this SUV is also equipped with great legs to increase the strength of its cruising range.